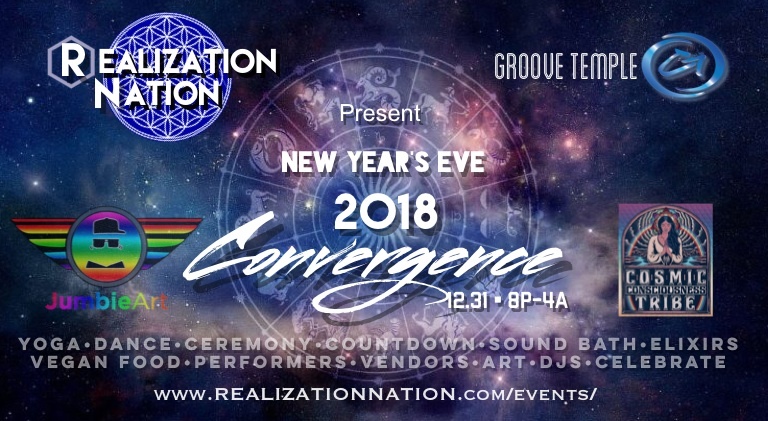 Let us unite together and bring in the new paradigm as we celebrate at this New Year's Eve 2018 Convergence. Sound system provided by Groove Temple. Astrology Virtual Reality Experience by iLiving. Stretch and relax in the Chill Dome. Art and light installations by Jumbie Arts. Vibe with the Cosmic Consciousness Tribe. Festival/active wear encouraged. Please come dressed to move, dance and sweat! Part of the proceeds will go to benefit Amazon Watch in support of indigenous peoples and protecting the Amazon.